Who are the mysterious “Yakuza”, and what is their role in modern Japan? Contrary to popular belief the Yakuza are not a single entity in Japan’s criminal underworld. Rather the term ‘yakuza’, in Japanese roughly translates to ‘good for nothing’ and can apply to any individual gangsters or their affiliated gangs. Many theorize that the origin of the term derives from a worthless hand in a Japanese card game not unlike baccarat or blackjack. The cards themselves; ya-ku-sa (eight-nine-three) give the worst possible total when added up. The origin of the yakuza cannot be completely determined, but the most popular theory is that they are descended either from gangs of rōnin (masterless samurai) who became bandits or from bands of altruists who defended villages from those very same samurai during the 17th century. Their heritage can also be traced back to bands of swindlers and gamblers in feudal Japan. The yakuza are structured in a way not unsimilar to that of the Italian Mafia, in the sense that the hierarchy is reminiscent of a family. The leader of any gang or conglomerate of yakuza is known as the oyabun (“boss”; literally “parent status”), and the followers are known as kobun (“protégés,” or “apprentices”; literally “child status”). The rigid hierarchy and discipline are usually matched by a right-wing ultranationalist ideology. Kobun traditionally take a blood oath of allegiance, and a member who breaks the yakuza code must show penance—historically through a ritual in which the kobun cuts off his little finger with a sword and presents it to his oyabun, though this practice has declined over time. Members of the yakuza are divided into hundreds of gangs with the vast majority of them affiliated under an umbrella of one of some 20 conglomerate gangs. The largest of these conglomerate groups, the Yamaguchi-gumi, was founded in 1915 by Yamaguchi Harukichi which became fully developed after World War Two by Taoka Kazuo. This group, the largest crime syndicate in Japan, based in Kobe, split into two groups in August 2015. The splinter group Kobe Yamaguchi-gumi was formed and is headquartered in Awaji. During the 1960s membership of gangs swelled to about 184,000 according to police figures but declined to roughly less than half that with an approximate 80,000 by the early 21st century. In fact, a continuous decline in gang membership has been a trend since the turn of the 21st century with the Japanese National Police Agency (NPA) announcing in March 2017 that the number of organised crime members across Japan stood at 39,100 at the end of 2016. This is the first time membership has fallen below 40,000 since Japanese police authorities began tracking the yakuza in 1958. A spate of police crackdowns on gang activity has made it increasingly difficult for the yakuza to earn money. Another cause for the drop in membership has been the Japanese government’s decision to pass several anti-crime ordinances in 2011 which designate the act of doing business of any kind with the yakuza a criminal offense. The yakuza’s standing in Japanese society is complicated to say the least. In spite of their criminal activities which include racketeering, extortion and prostitution the yakuza liken themselves as a ninkyo dantai (literally ‘chivalrous organisation’). Their methods may be morally questionable but they have been known to perform acts of charity with examples such as donating and delivering supplies to victims of the Kobe earthquake in 1995 and the Tohoku earthquake and tsunami in 2011. A likely reason for the yakuza having a certain degree of admiration is their gradual abstention from violent acts and a shift towards white-collar crime such as bribery, investing in the stock market and IT, and even owning offices nationwide. In the early 21st century the yakuza ranked as one of the least murderous criminal organisations in the world. Indeed after a spell in prison the leader of the Yamaguchi-gumi syndicate, Shinobu Tsukasa has forbidden members of his syndicate from using or selling drugs and has tried to enforce a code of ethics within the organisation. This has only added to the deeply complex relationship with the NPA. Despite their aforementioned lack of violent crimes the group is formally referred to as boryokudan (‘violence groups). However yakuza membership is not strictly prohibited and yakuza-owned businesses and headquarters are easy to spot. Adding to this the NPA are well aware of gang activities and whereabouts wand usually abstain from taking action. Some gangs has even been called to perform public functions, being commissioned to serve as a security force during a 1960 visit by the then President of the United States, Dwight D. Eisenhower (the visit ultimately never occurred). However despite the fall in gang membership and the proposed plan to further eliminate the various yakuza groups located throughout Japan with ambitious methods such as targeting leadership and reintegrating former members into society, detectives on the ground do not share the government’s optimism. They reckon that the fall in gang numbers is simply the yakuza syndicates going further underground and moving into more tolerable organisations in the government’s eyes. Yakuza still have an endearing legacy in the hearts and minds of many Japanese citizens with many of them seeing the groups as a necessary evil due to their chivalrous facade which goes back to their theorized origin from the old samurai code of honour. Along with this they are seen as a deterrent to impulsive individual street crime. Their dual role as criminals and humanitarians have combined to create an almost underdog-like status which has led to the police labelling them as bōryokudan. 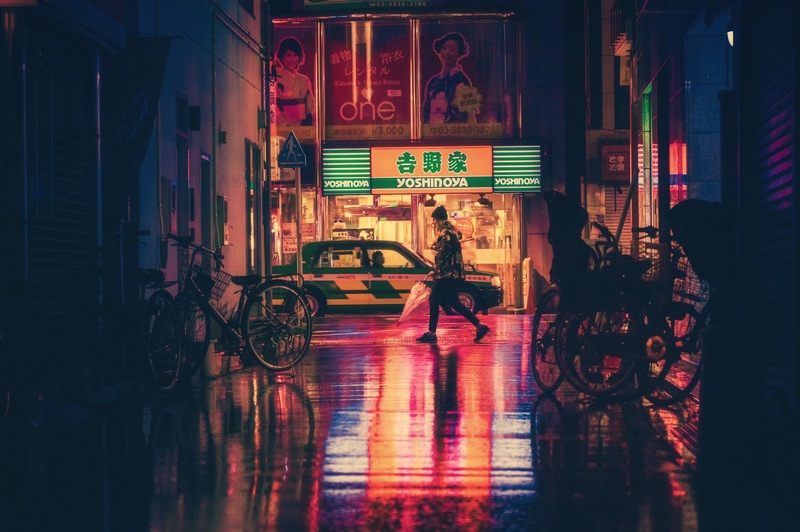 What the example of the yakuza can teach us is that there are indeed many faces to criminal enterprises and that their stories are far from being a simple case of ‘cops and robbers’. Cian Mac Lochlainn is an Economics and Politics student, and the current Deputy Sports Editor at Trinity News.